Toenail fungus is not only unsightly, but it can also be quite painful. If you develop toenail or foot fungus, you can become too embarrassed to go to the gym or to enjoy time with friends and family at the beach or the pool. If you develop a painful case of fungus, your mobility may be limited, causing you to become sluggish or out of shape. Getting the right foot fungus treatment is essential for improving your quality of life. Med Laser offers effective treatment for nail fungus that is both affordable and pain-free. Our laser nail fungus treatment targets the harmful fungus and heats it to destroy it. The laser is targeted so that it only destroys the fungi and not any of the healthy surrounding tissue. Not only does the laser destroy any fungus that is currently present, but it also helps to prevent the growth of new fungus in the same area in the future. Laser treatment for nail fungus is non-invasive, meaning that you don’t have to undergo any surgery and you don’t have to take any prescription medication. You can get the treatment in our office in a short time. Recovery is minimal, so you can be back to work in no time. Don’t waste time with toe nail fungus treatment that doesn’t work. Laser fungus treatment is both effective and affordable. You can finally be rid of unsightly fungus that causes you pain and embarrassment. There are several types of foot fungus treatment. You may be interested in depending on what types of fungus you have and what foot fungus infection you have. The most common foot fungus treatment is used for athlete’s foot and toenail fungal infections so this article will take a look at conditions, what they are, what they look like and what the treatment options are. Keep in mind that these infections are not separate from each other; if Athlete’s foot is not effectively or quickly treated it can also lead to a nail infection, requiring a whole foot fungus treatment approach which can be time consuming. Athlete’s foot is a very common fungal skin infection of the feet that affects the skin in between toes as well as the sole. It easily spreads if not dealt with correctly and as well as being able to cause toenail infection it can also spread to the palm, the groin as well as other areas of the body. While it is commonly called Athlete’s foot it can affect anyone and when a fungus is the cause it is known as Tinea pedis. It is very important when treating Athlete’s foot that all areas with fungal infection are treated to prevent re-infection. First of all you need to make the environment less hospitable for the fungus by keeping your feet clean and dry, wear leather shoes or ones made from another breathable material and wear cotton socks. Treatment options include medicated anti-fungal powders that you can find over the counter or get prescribed from your doctor. Miconazole or tolnaftate are two examples. You can also use anti-fungal creams and washes as the second part of your treatment plan. Make sure your foot fungus treatment carries on for at least 4 weeks, and should be continued for at least a week after symptoms have cleared to be sure the fungus has been killed. Severe cases may require systemic treatment from your doctor in the form of a pill. There are over the counter topical treatments as well as natural topical treatments for nail fungus, and the effectiveness of these depends on how severe your infection is, and varies from case to case. More effective treatment tends to be from systemic treatment taking oral pills over a period of a few months, but these needs to be discussed carefully with your doctor as there are serious side effects that are rare but can occur linked to your liver. Treatment takes a long time, and no option is 100% guaranteed, at the best it works around 80% of the time, and the infection returns in a quarter to half of all cases. One recent treatment development is that of laser therapy, while it has no long term are large case studies completed yet, the results known so far are very promising for its effectiveness and safety. But it does come with a very large price tag. Many people suffer from nail fungus toe symptoms. Fungus is natural and is all around us; therefore it cannot be avoided completely. You can, however, keep your feet safe by always wearing shoes, keeping your feet dry as possible and never going barefoot in any sort of community shower such as at the local pool or gym. However despite your best efforts, you might find yourself with toe nail fungus. The problem is usually mild to moderate and requires easy treatment. Symptoms of toe nail fungus can be distinguished by the colour of the nail. You might think that all fungus is green, but in fact a nail fungus toe problem may manifest as brown or yellow. If left untreated, the nail will thicken and separate from the nail bed. In time, it will actually start to crumble because the fungus is exuding chemicals that damage the nail and breaking down essential protein. The final stages of nail fungus are painful, and at this point the problem can be difficult to get rid of. This is why with most all medical conditions, early detection is key. The earlier you catch fungus of the nail, the easier it will be to get rid of. There are prescription medications, over the counter treatments and even home remedies for toenail fungus. Lamisil is a popular medicine that is taken orally for fungal infections and applied topically for conditions like athlete’s foot. Your podiatrist can tell you which medicine is best for your particular needs. Some of the oral prescriptions may not be recommended for those with liver or kidney problems. Home remedies include everything from soaking the toe in white vinegar to applying tea tree oil with a cotton swab in an attempt to get it under the nail. You may think you have nail fungus toe symptoms but actually have something else going on. For example, there is a certain kind of bacteria that can get under the nail and cause it to turn green, but it is not as harmful as nail fungus and is easily treated. Injury to the nail may cause dark spots from hematoma, or white spots on the nail. If you notice ridges and lines on your nail, don’t panic. In most cases these are normal, very rarely do they indicate a more serious medical problem. Most people don’t take the fungus as a serious health problem that may threaten our lives. Fungus however can be quite dangerous especially when the fungus has changed your nails’ colors. At this level you might lose your nails and it can cause us infections when it goes deep into our bloodstream. Therefore before things can get much worse we can apply the foot fungus home remedy instead of wasting more money to buy prescribed medications. You can make your own diagnose to identify the foot fungus and when you should apply foot fungus home remedy. A simple symptom of foot fungus can easily be seen when your nails have changed their colours into yellow or dark. One simple foot fungus home remedy you can find at home is vinegar. You only need to soak your toes or foot in 1tbsp of vinegar to ½ gallon of water and you can do this treatment at home twice a day. Tree tea essential oils can also be another foot fungus home remedy and they are applicable for all kinds of skin conditions. Once you spot the symptoms of foot fungus then you’re advised to apply tree tea essential oils twice a day since it won’t works well when the fungus has widespread. Foot fungus can be so much annoying especially when it feels very itchy. In this situation nothing can release us from itch when we don’t scratch it. Scratching might feels good but in fact it can hurt our skin that may also cause us infections. We certainly need to get the right foot fungus medication to free us from foot fungus. There are so many kinds of medications and treatments for foot fungus however it’s very important to always be aware to certain products since there are some side effects that might caused by foot fungus medication. Oral fungus medication may cause us dizzy, headache and even worse liver disease. When you apply this kind of medication and you find out some symptoms such as dark urine, fatigue, anorexia and others suspicious symptoms then you should stop using this kind of medication and immediately find a doctor so you can get your liver evaluated if that’s necessary. Indeed such condition may not generally happen to everyone since it everyone has different physical sensitivity. The side effects of foot fungus medication are typically mild and happen temporarily only. Asking advises from a physicians might be a good step to get the best fungus medication for you. A fungus is a living organism that thrives in dark, damp environments. If your feet are inside of socks and shoes all day long they are in an environment that is tailor made for the proliferation of fungi. Fungal infections are very common and can happen in fingernails as well as toenails and for most people they pose no real physical health threats, they are simply disgusting and unsightly. However, for the elderly or people with diabetes a fungal infection could lead to other infections which could pose a more serious health risk. So, if you have unsightly, disgusting toenails what can you do about it? There are a number of toenail fungus cures. There are prescription medications available that can be taken orally and there are also topical treatments that can be applied directly to the affected area. For people that would rather not take prescription drugs and may be worried about potential side effects there are natural herbal remedies on the market as well. You should always consult with a competent medical professional before attempting to diagnose or treat any illness. 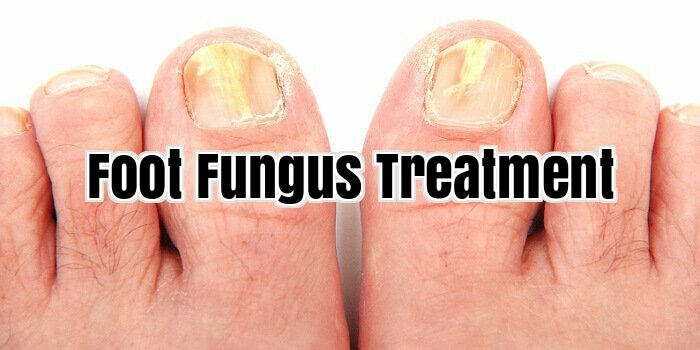 If you are certain that you do in fact have a fungal infection there are a number of natural ingredients that are believed to be very effective in treating this condition. Various ingredients will help to soothe a number of different symptoms. Some of the ingredients will help to control any pain, itching, or irritation. Other ingredients will help to treat discoloration and flakiness. And still other ingredients will kill the fungus itself. All of these ingredients working together can help you beat that fungal infection and rid yourself of disgusting, embarrassing toenails. There are millions of people worldwide sufferings from nail fungus. The menace occurs in people living in moist areas such as swimming pools and showers. Proper nail fungus cure is necessary to avoid the menace. Once it occurs, patients need to get treated as soon as possible; because it may result in severe pain. Fungus easily affects toe nails as the area remains warm and humid constantly due to being covered by shoes. Nail fungus can be cured by employing oral pills, topical creams, etc. Of late, certain medications are available in the form of nail polishes, which can be applied directly to the nails. For nail fungus cure within least possible time, there are some pills are available in the online as well as offline market. If the color of your nails is getting changed and becoming a little bit more brittle and ragged, then you might have infected with nail fungus. For nail fungus remedy, patients need to look for healthcare providers as they advise appropriate medications to remove the menace. Nail fungus remedy is necessary if your nails become thick, ugly, odorous, discolored and unshaped. If you experience any of these conditions, then you should consult doctors to avoid embarrassment as well as pain. People who stay in the warm and moist environment such as swimming pools and showers are susceptible to fungal infection. Most of the fungal infections occur due to a type of parasitic fungi referred as dermophytes, which affects the skin, hair or nails. Fungi are saprophytes that soak nutrients from the skin, resulting in infection. Of late, fungal infection is common and can be treated easily. Some of the signs of toenail fungus infection include thick, ugly, odorous, discoloured and unshaped toenails. Such signs of toenail fungus occur to people who stay in the damp and warm environment. If you experience difficulty in your nails, then you should consult healthcare providers as soon as possible. There are a number of online drug stores available selling medications for nail fungus at economical rates. Vapor rub is the simplest remedy that has been adopted by millions of the patients who are suffering from the toenail fungal infections. The vapor rub is commonly known to fight colds and coughs and more to make breathing easier by curing the congestion from the chest, nose and entire respiratory tract. However, there are no clinical studies, findings or studies that support the usage of vapor rubs treating toenail fungus in a sure way. Vapor rubs are available in any medical store or supermarket and it is OTC – over the counter product across the world. This is one of the reasons that it has become more popular as it does not contain any prescription of the doctor. The vapor rubs are different in colour but mainly it is dark or black. The product is rumoured to discolour the nail area and hence, it is not often use on the finger nail infections. The vapor rubs are to be keep away from eyes and it is strictly for the external use. Toenail fungal infection being cured by vapor rub is more a ‘mouth-to-mouth’ marketing rather than having a scientific evidence or data. The vapor rubs may contain some herb that can help healing the skin in many ways. It might contain some essential oils (such as menthol or turpentine) that may carry fungicidal action and might be effective curing toenail infection. Some of the herbalists opine that such vapor rubs, though do not carry any scientific evidence of treating toenail infection, and might have some oils as active ingredients that soften and penetrate the nail and can kill fungus. The vapor rubs, according to some anecdotal reports claim that really works well as reported by volunteers using the formula since years. Some of them report the remedy is best working in children and not in adults. This report again makes the confusion that the vapor rubs might be unable to penetrate the thicker and tougher nails as adults have but it can get into the children’s nail those are thinner and softer as compared to grown up nails of adults. Another group of volunteers opine that vapor rubs are effective in curing toenail infections especially fungal infection only on the initial stages. Vapor rubs after some period, on toenail fungal infection, is not as useful as other home remedies. The primary action of the ingredients could be removing the dead and scaly skin from the affected area that is the main seat for the fungus to locate and thence to grow. A rough theory suggested by some of the herbalists that vapor rubs might be containing the acidic environment due to which, it becomes difficult for fungus to survive and to grow finally resulting controlling fungal infection in the toenails. Whatever the reason vapor rubs are said to control toenail fungal infections, there are many people who favor the formula treating their infected nails without any side and/or harmful effects. It is cheap and readily available in the market that makes it more popular and unless, it does not create any adverse effect, there is no reason that why one should not try.